Today, we are featuring one of the most talked about pieces from the 2014 Baselworld- the Tudor Heritage Ranger. The Ranger is a curious piece; it follows the design cue of the vintage Rolex Explorer, with four different strap variations. And the best part? It is one of the more affordable pieces from the sister brand of Rolex. 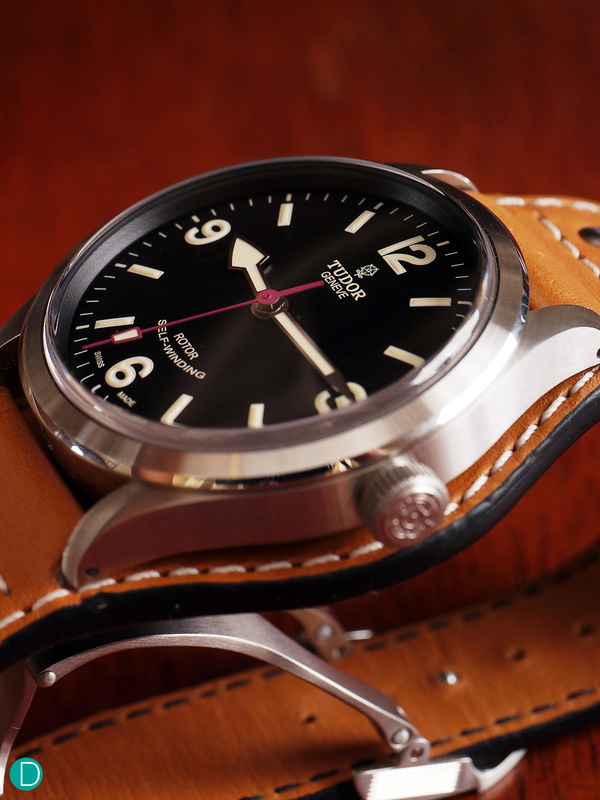 The Tudor Heritage Ranger, with the Bund Strap option. The team at Deployant had recently got the opportunity to spend some time with one of the most anticipated offerings from the 2014 Baselworld, the Tudor Ranger. We were rather excited about this piece, due to the hype and the fact that it is a rather handsome piece of horology. Our patience were finally rewarded, when we received the 41mm timepiece. Like the recent offerings from Tudor, such as the Black Bay and the Heritage Chrono, the Ranger had followed a vintage theme. The design is based on the iconic Reference 1016 Rolex Explorer, most famously worn by Tenzing Norgay during his epic expedition to be the first (together with Edmund Hillary) to conquer Mount Everest. It features the similar 3-6-9-12 dial layout, and a creamy “patina-like” indices. The patina and the raised indices gave the watch a vintage feel, albeit a subtle one. 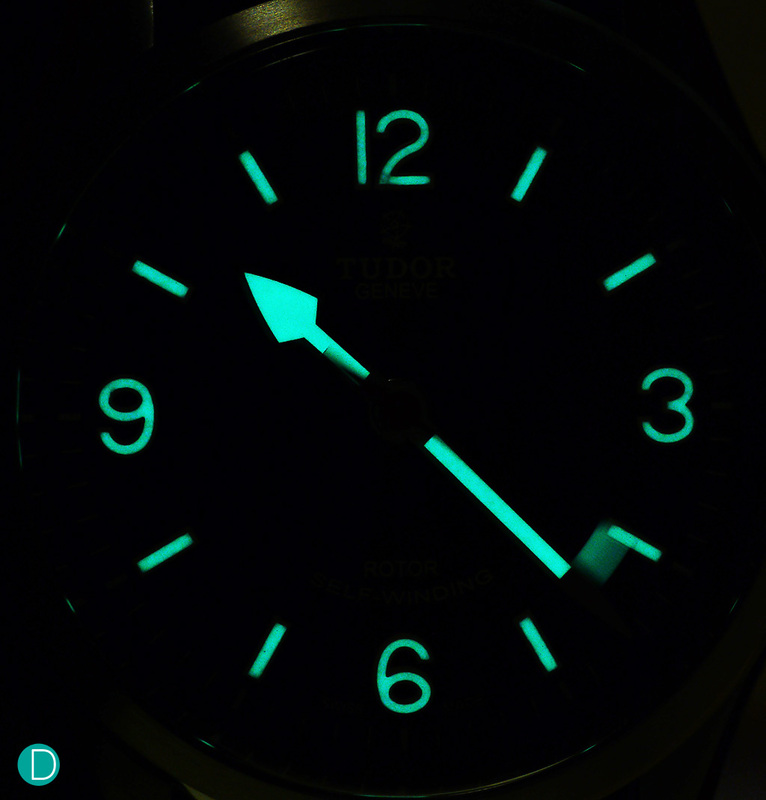 A picture of the Tudor Heritage Ranger in the dark. The lume, as shown by the picture, is rather superb. The Heritage Ranger is an extremely legible watch, thanks to its clean and simple dial, as well as the rather decently-sized indices and hands. We also like the way the watch illuminates itself in the dark. It makes the process of time-telling a breeze; it can be done simply by a glance at the timepiece. To be honest, the Tudor Heritage Ranger is a handsome timepiece. A classic design, with modern technologies. We personally thought that the Heritage Ranger is finished decently. The 41mm steel case and the bezel is satin finished, while the bevels are chamfered. The sapphire crystal is domed as well, to give the watch a more vintage look. On top of that, the indices are painted. While these elements are seemingly insignificant, it all adds up to make the watch more refined and classical. These small attention to details, in truth, matters. Kudos to Tudor on that aspect. A throwback to the 60s maybe? The watch is powered by the Tudor Calibre 2824, based on the ETA 2824 movement. It has got a decent power reserve of around 38 hours. Nothing spectacular, but definitely a workhorse. One good thing about ETA-based movement would be the fact that most professional watchmakers are competent to fix it, so repairing it should not be a hassle. 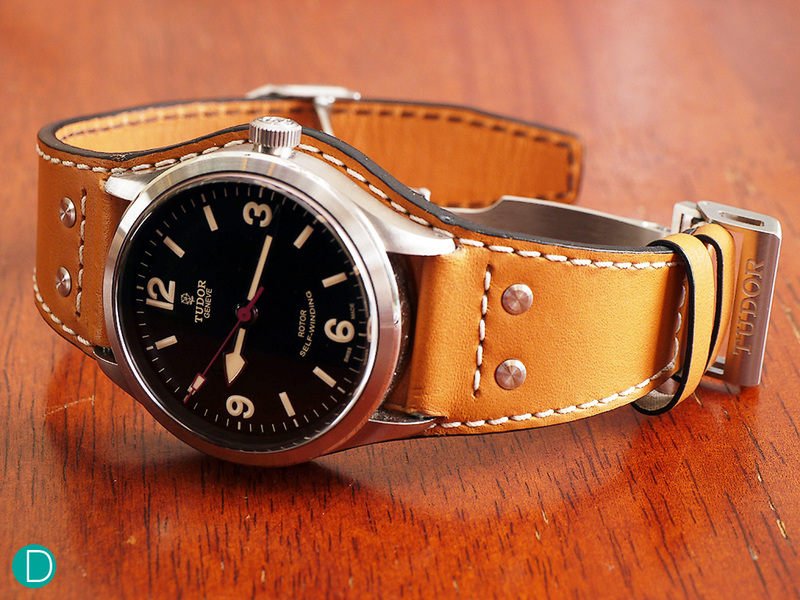 The Tudor Heritage Ranger with the Nato strap option. As mentioned, the watch comes in 4 strap options. 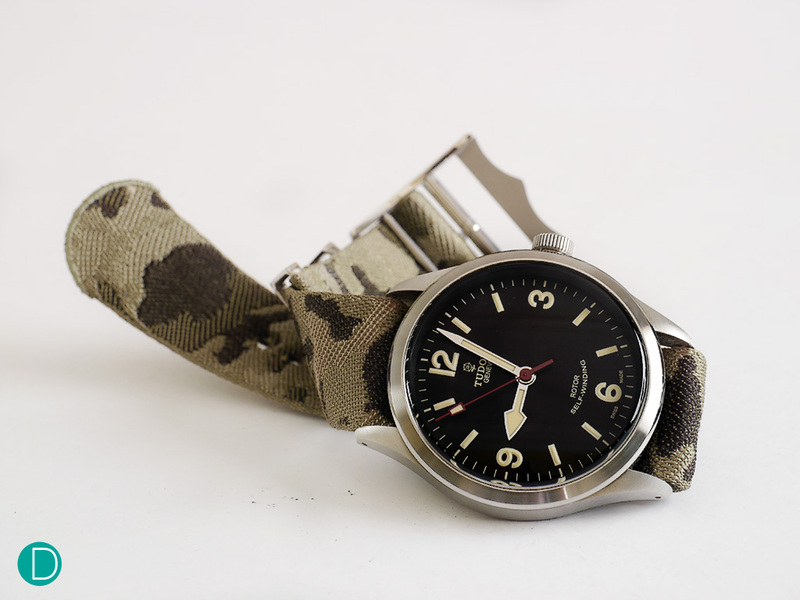 In this article, we have featured the Bund strap version, and now the Nato strap variant. 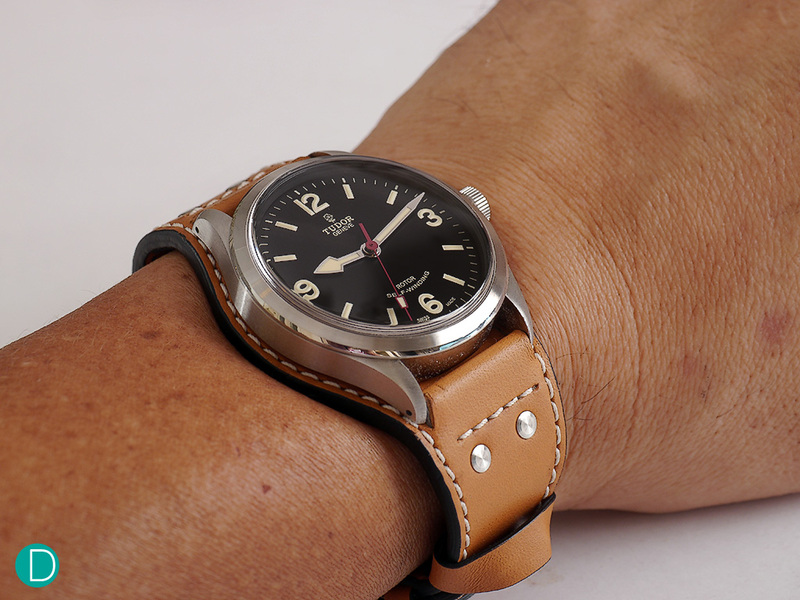 You can also get the Heritage Ranger in the steel bracelet option, or with the calf leather strap. One interesting thing about the Nato strap is that it is woven by the same folks who have done the robes for the people in Vatican. Extraordinary stuff. Another noteworthy point would be the fact that the watch looks distinctly different in each strap option, which makes the Heritage Ranger a very versatile timepiece. We tried both the Bund strap and the Nato strap, and we agree that the Nato strap is much more comfortable on the wrist. This is perhaps because the Bund strap is not seasoned yet, hence it is a little robust. However, the watch looks better in Bund strap, than in Nato strap. The former brings out the character and the “vintage-factor” of the Heritage Ranger. 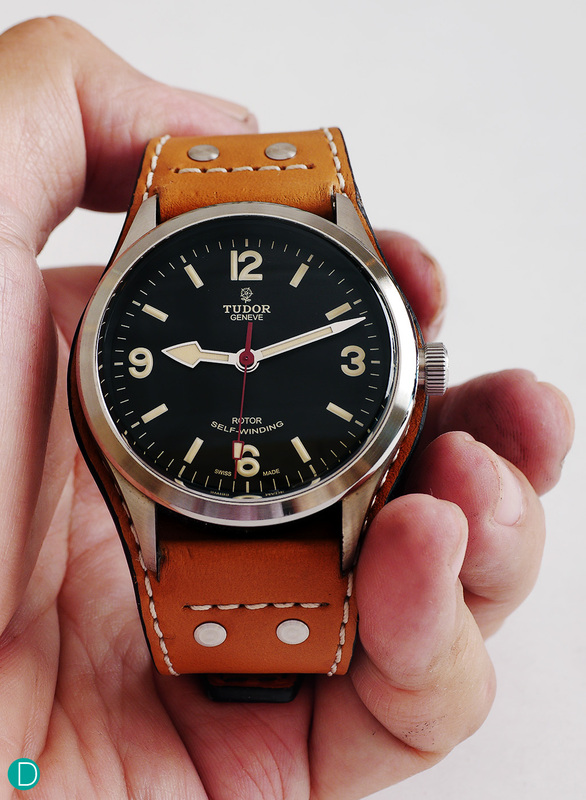 The Tudor Heritage Ranger is a simple watch, but it looks good on the wrists. While we raved about the watch, the Heritage Ranger has got a few drawbacks. There are some issues with the Bund straps. First, it is a little difficult to attach the strap onto the watch, but that may be partially due to our inexperience. But the next issue is a little annoying. With the Bund strap, it is difficult to unscrew the crown to wind the watch or set the time. This is due to the fact that the strap is a little too wide, hence it does not allow us to get a good grip on the crown. Thankfully, it is an automatic, which means that this issue is not something that we would face often. 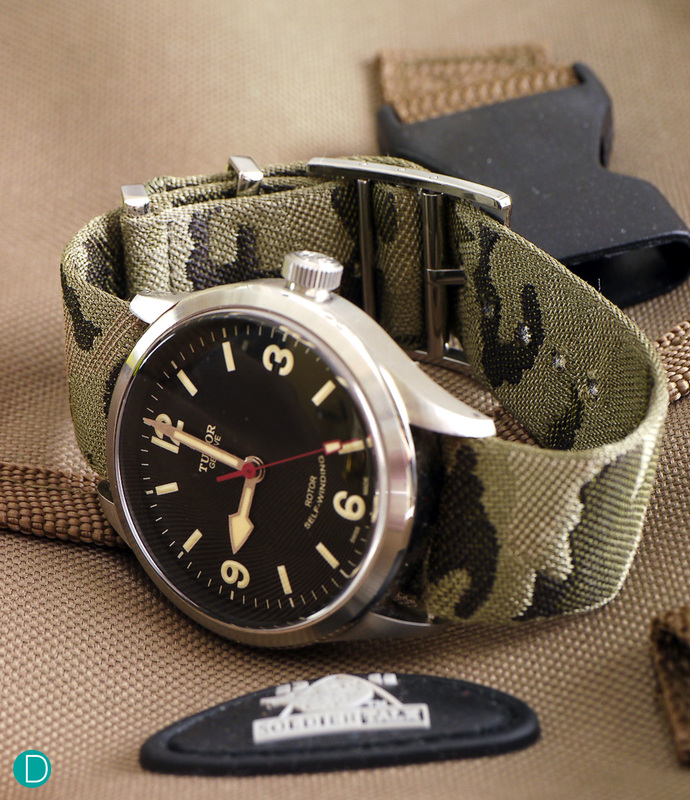 The Heritage Ranger looks good with the Nato strap, but it looks even better with the Bund strap. 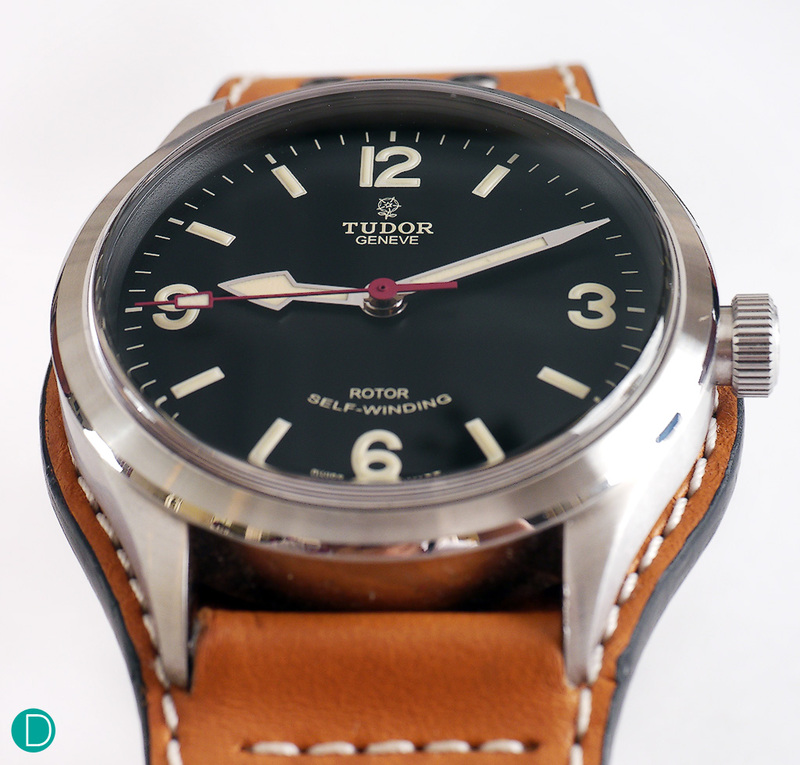 Overall, we think that the Tudor Heritage Ranger is a really nice watch, especially for someone who wants to enter into the foray of collecting luxury timepieces. One plus point would be the fact that the Heritage Ranger is rather versatile, hence it can be worn on different sort of occasions. And by infusing the vintage theme into their watches, Tudor has produced another winner right here.